Arseneault said he has tried other medication, such as methadone and morphine, but the medical marijuana is the best at handling his chronic pain. (Stephanie Skenderis/CBC)He has undergone three major back surgeries since and said he tried other medication — including methadone and morphine — to handle the pain. Arsenault said he became immune to pills and other pharmaceuticals. He said the medical marijuana gave him "great relief." 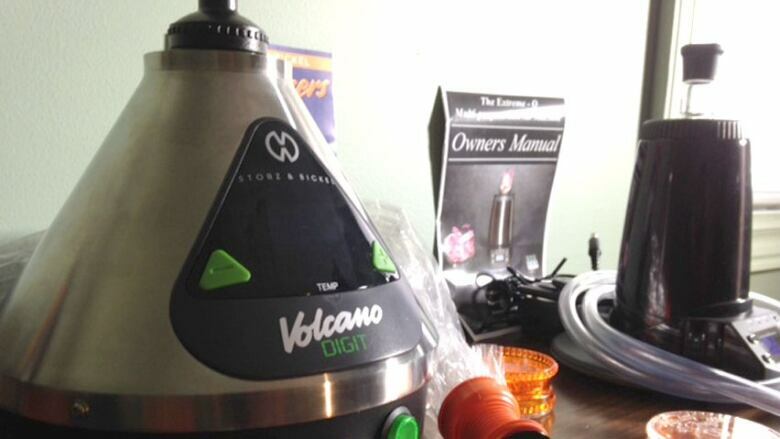 The Moncton man owns a Volcano vaporizer, a model he says cost $800, covered by the compensation board. "It's natural and it's easy on my lungs and my throat and if I have to be on this medicine then this is the way to go," he said. 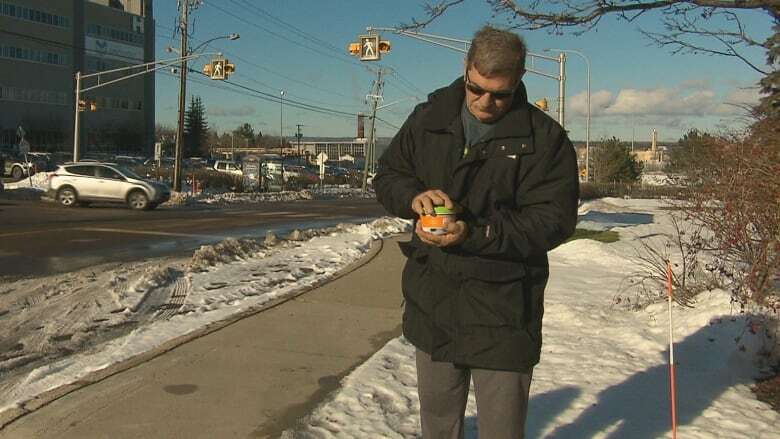 But when Arsenault tried to use his vaporizer, the hospital staff told him he had to either take it outside the facility or exchange it for pills. Arseneault has a $800 Volcano vaporizer. similar to the one shown here, that was covered by workers compensation. 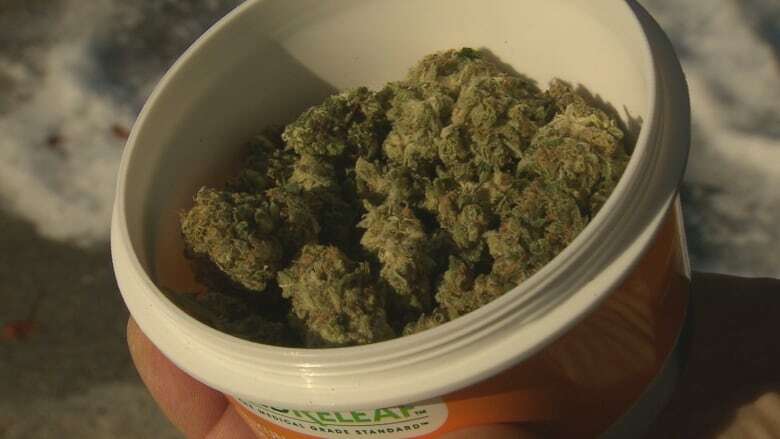 (Catherine Harrop/CBC)He said he has tried Nabilone marijuana pills and Sativex spray, and neither product works as well for him as the vaporizer. He said he had a discussion with the hospital management but he got nowhere with his concern. He said the head nurse told him there's no smoking allowed in the hospital. "I said, 'I agree with that but i'm not smoking, I'm vaping,'" he said. "There's no harm to my health, there's no smell. You should compare apples to apples. There's no harm to my health, there's no smell. I don't know what the problem is." Both the Vitalite Health Network and the Horizon Health Network say using a vaporizer is not permitted inside their hospitals. "At present, there is no regional policy within Vitalité Health Network allowing for the use of medical marijuana or vaporiser," said Luc Foulem, a spokesperson for the Vitalité Health Network, said in an email. 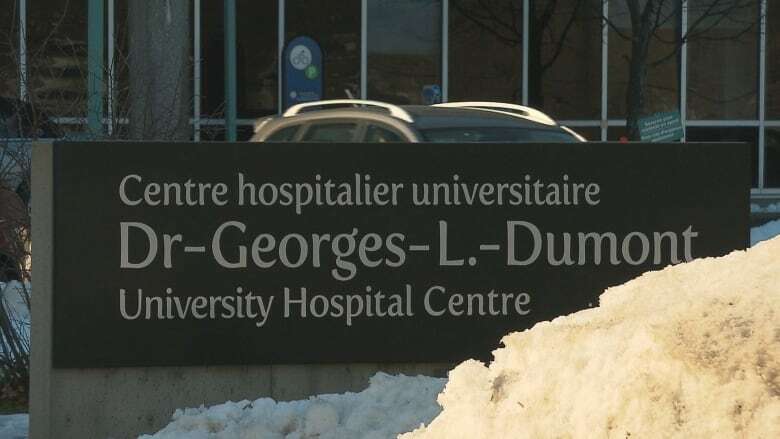 The staff at the Dr Georges-L-Dumont University Hospital Centre in Moncton does not allow patients to vape medical marijuana. A Vitalité Health Network official said the authority is studying that policy. (Stephanie Skenderis/CBC)Foulem also said the "subject is presently under study." Stephanie Neilson. a spokesperson for the Horizon Health Network, said in an email that all facilities in the network are smoke-free. "No tobacco products/medical marijuana/herbal products intended to be smoked or heated; smoking devices in any form or e-cigarettes/ENDS are to be used, including inside any vehicle parked on the grounds," she said. But allowing a patient to use a vaporizer for prescribed medical marijuana is not without precedent across Canada. In June 2014, Quebec's Sherbrooke University Health Centre decided patients could use medical marijuana in their rooms if they were "sick enough." Arsenault said he believes it is time New Brunswick hospitals to follow Quebec's lead. "They don't know what it is and they don't want to learn," he said. "It's time we embrace this as a medicine."